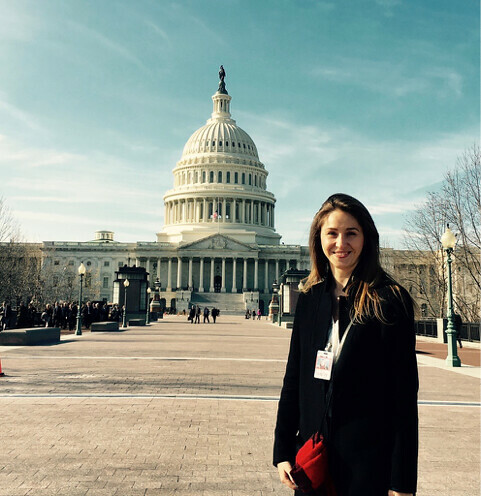 Smiles, curiosity, intrigue, admiration, excitement, confusion – are just a few of reactions my initial introductions stirred amongst my fellow Fulbright colleagues, students and faculty in my first days in the U.S. Curious as my presentation was at the beginning, it is no longer curious now – only four months after the start of the academic year at New York University, School of Law. Now, everybody knows and easily accepts the fact that I am Viorica, I come from Romania, I am a doctoral researcher at the European University Institute in Florence, Italy and I am European. My life experience has been profoundly marked by Europe, the fall of the iron curtain and EU’s enlargement towards the Central and Eastern European states. I was born in and raised in Eastern Europe a place where my family and I have learned first hand how painful the abuses of a totalitarian regime are, as well as how hard is the fight to reconquer the liberties once lost. As a child, I looked up to Europe and the U.S. as safe heavens of liberty, peace and prosperity. 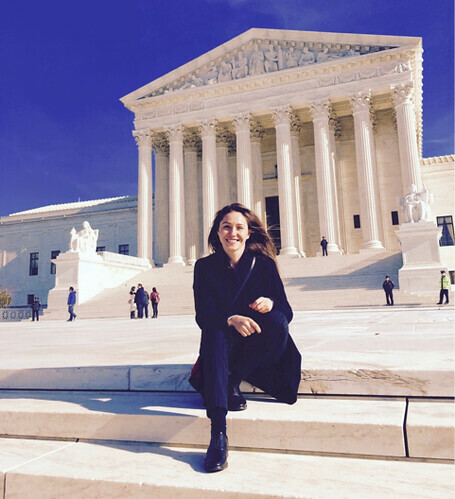 This exceptionally strong personal dedication to the European project facilitated a special discovery of the U.S. legal culture as a Fulbright researcher. I learned more than I ever hoped I would have managed to learn about the U.S. constitutional ethos through the special comparative lenses of the EU. The U.S. experience retaught me everything I knew about Europe and the EU. Looking back at the two legal systems, the conclusion I take back with me to Europe is that there is no right or wrong answer when comparing the two models. The EU and US are different systems, deeply shaped by history and their social evolution paths. Yet, it is precisely in these differences that I found an immense academic and practical potential. I called them – the differences that make a difference. My main conclusion, however, is that many more things bind us than separate us: same hopes, same worries, same aspirations for peace and prosperity of our societies, same deeply encrypted values of democracy, rule of law and human rights. It is precisely for these common values that we must continue to cooperate and further explore our differences through cultural exchange, research and innovation. Now, maybe more than ever.